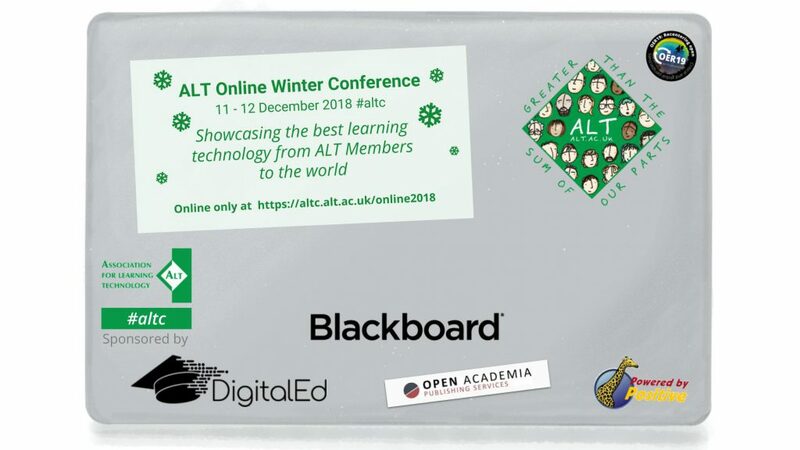 #altc - Online Winter Conference full programme online! The full programme for our 2018 Online Winter Conference is now available. Build your own programme to tailor our conference to your preferences. Two sessions on at the same time that take your fancy? Don't worry all sessions are recorded and made available to registered participants. Registration for the conference is completely free! Be sure to register and start planning your sessions. Want to support the conference? ALT, as a registered charity, is accepting donations to help us keep disseminating the best in learning technology practice and expertise to the global community.